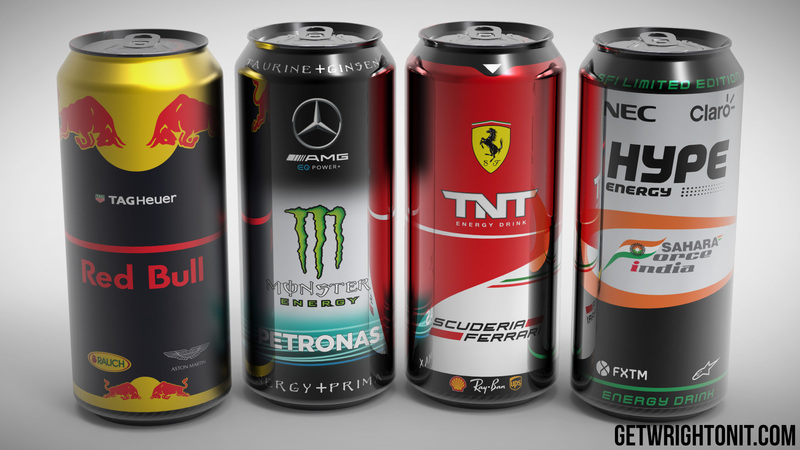 Formula 1 drink cans with their car livery styling. As a quick branding exercise, we wondered what would Formula 1 teams’ drinks brands look like if we introduced their 2017 F1 livery into the design. So we have a Mercedes AMG Petronas Monster Energy drink, Scuderia Ferrari TNT drink and of course, a Red Bull Racing can that instead of the standard blue and silver, introduces the racing colours. 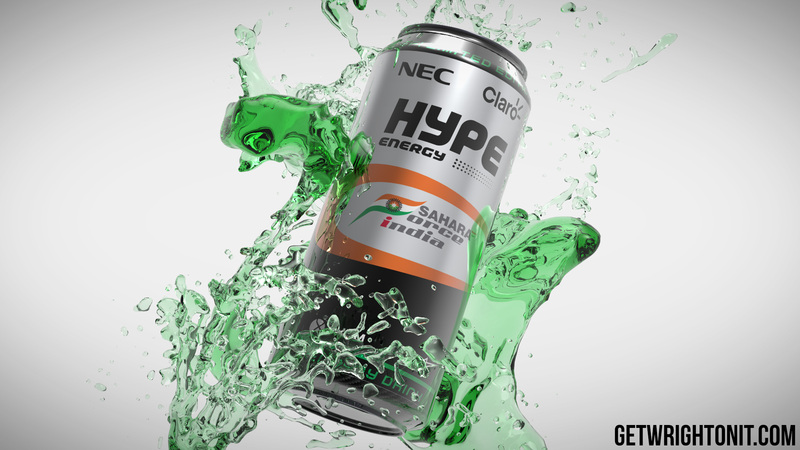 By popular demand, we also subsequently designed a Force India Hype can! The Scuderia Ferrari TNT drink brings together the red of the race team and TNT and introduces the white of their F1 livery. With Lewis Hamilton recently announcing his partnership with Monster we think this Mercedes AMG Petronas Monster Energy drink is the next logical step! We even managed to work in the Pirelli tyres! 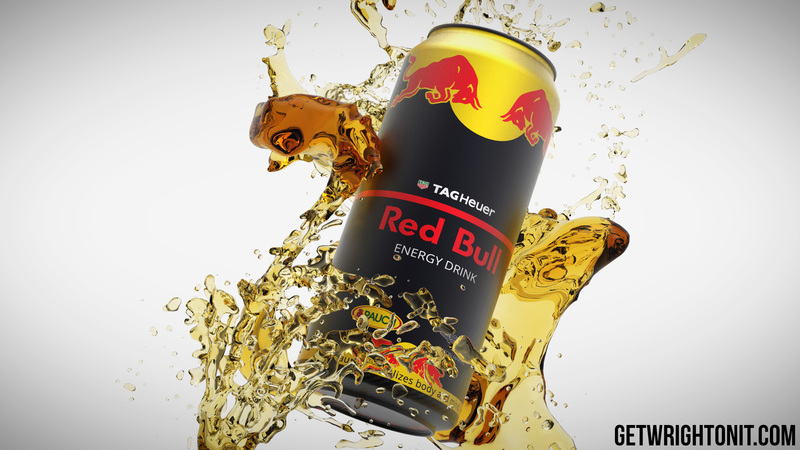 Moving away from the usual Red Bull drink colours, we think the racing livery works well once adapted for their can, especially with the matte finish. By popular demand (on reddit!) we also created a Force India Hype Energy drink concept. UPDATE! With Force India updating to a pink livery with their new BWT sponsor, I simply had to update the design! We think these would work really well as limited edition versions or flavours of the drinks and would be great if handed out at race events, let us know in the comments or on twitter if you’d buy these special editions! Cool! I see you’re handy with fluids! So great your post With Lewis Hamilton recently announcing his partnership with Monster we think this Mercedes AMG Petronas Monster Energy drink is the next logical step! Congratulations! Nice concepts and renders! Greetings from the Hype Energy design team.